.Florx. 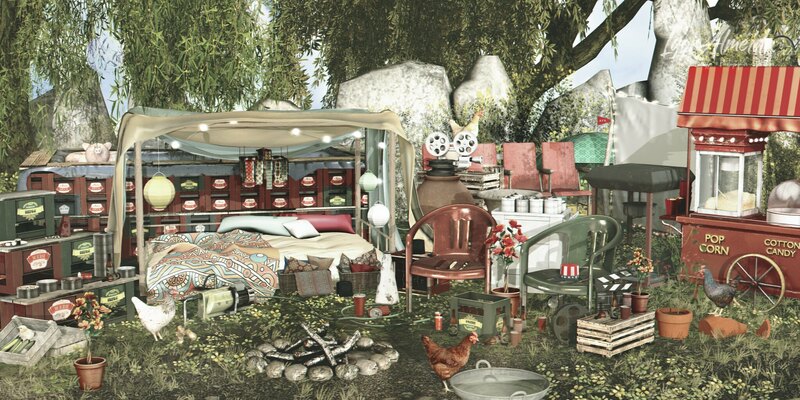 Boho Summer Tent - FULLPACK @The Seasons Story New! Ariskea[Hawaii] Hibiscus Potted Yellow @Summerfest '18 New! Ariskea[Hawaii] Hibiscus Potted Red @Summerfest '18 New! MadPea 4th of July Hat (add) New! taikou / dim sum cart (A) / full @collabor88 New! taikou / dim sum plate @collabor88 New! taikou / shumai (pork dumpling) @collabor88 New! taikou / xiaolongbao (soup dumpling) @collabor88 New! taikou / fengzhao (chicken feet) @collabor88 New! taikou / dim sum steamer (stacked) @collabor88 New! taikou / hargow (shrimp dumpling) @collabor88 New! [ zerkalo ] Oriental Tale - Basket w/Pillows&Towel @Gacha Land New! [ zerkalo ] Oriental Tale - Basket w/Pillows @Gacha Land New! [ zerkalo ] Oriental Tale - Vase - GLE @Gacha Land New! [ zerkalo ] Oriental Tale - Urn @Gacha Land New! [ zerkalo ] Old Cinema Gacha - Plastic Cups @Kustom9 New! [ zerkalo ] Old Cinema Gacha - Cinema Tape @Kustom9 New! [ zerkalo ] Old Cinema Gacha - Speaker @Kustom9 New! [ zerkalo ] Old Cinema Gacha - Popcorn @Kustom9 New! [ zerkalo ] Old Cinema Gacha - Clapperboard @Kustom9 New! [ zerkalo ] Old Cinema Gacha - Popcorn Machine (RARE) @Kustom9 New! [ zerkalo ] Old Cinema Gacha - Set of Tapes @Kustom9 New! [ zerkalo ] Old Cinema - Cinema Sit - PG @Kustom9 New! DaD "Vintage Film Projector" @Summerfest '18 New!